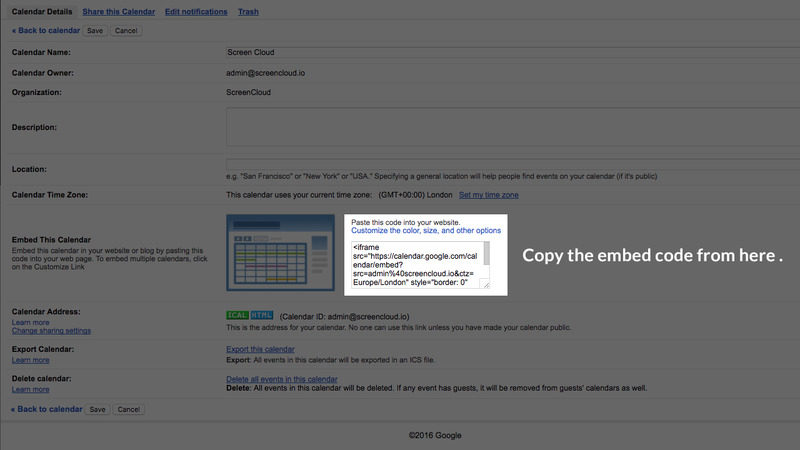 Simply show events on your Google Calendar by adding the Embed Code. 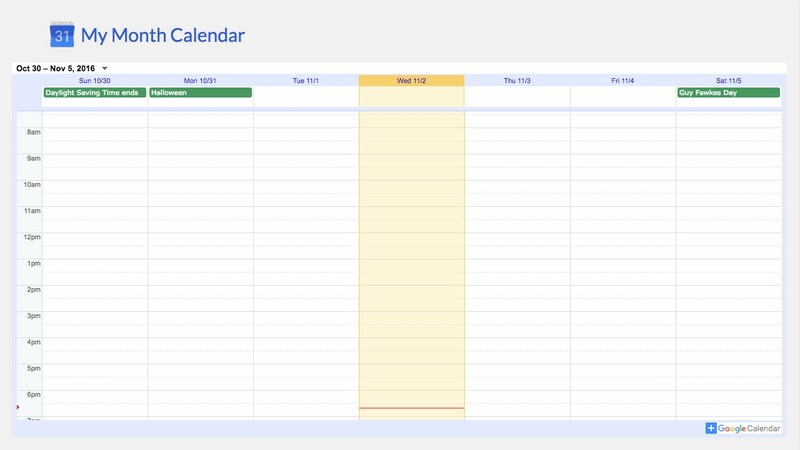 For full instructions please visit https://support.google.com/calendar/answer/41207. 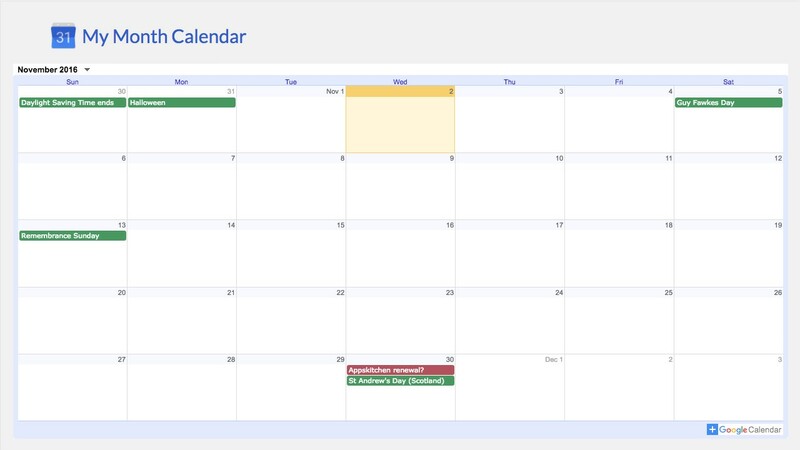 The selected calendar also requires to be set as public.